Each of the 4 Ocean Suites are comfortable and spacious. The large lounge area opens onto a considerable and private wooden deck, providing a 180° view of the ocean and the reserve. The Suites also feature "his and hers" separate bathrooms with a "shower with a view" in "his" and a jet bath in "hers". With superb design throughout, the house includes 3 large bedrooms, 3 bathrooms, a spacious lounge with fireplace, and a private plunge pool on the deck. An impressive kitchen and bar, as well as a 6-seater dining area, allow for effortless entertaining. It features the owner’s private choice of artworks, carefully selected to complement the property. 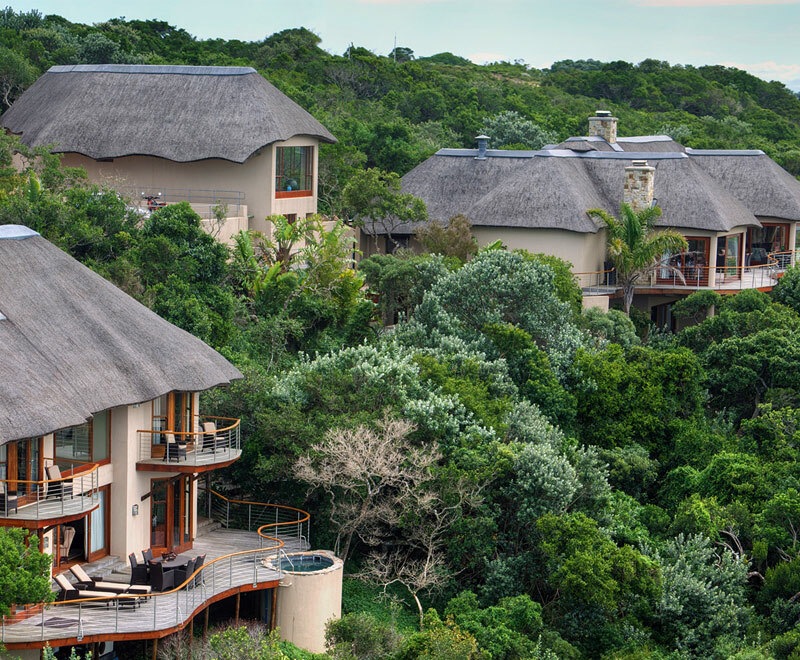 Each of the 3 Lodge Suites are individually appointed, drawing inspiration from regional artefacts, as well as the indigenous animals that guests are likely to encounter within the reserve. The Suites form part of the main lodge, with easy access to the games room. What a beautiful location we picked for our honeymoon! It was perfect in every way and we got to relax and enjoy the comforts, beautiful scenery, magnificent food and drink and to top it off a heavenly spa treatment! Thank you for making our stay truly special and memorable!